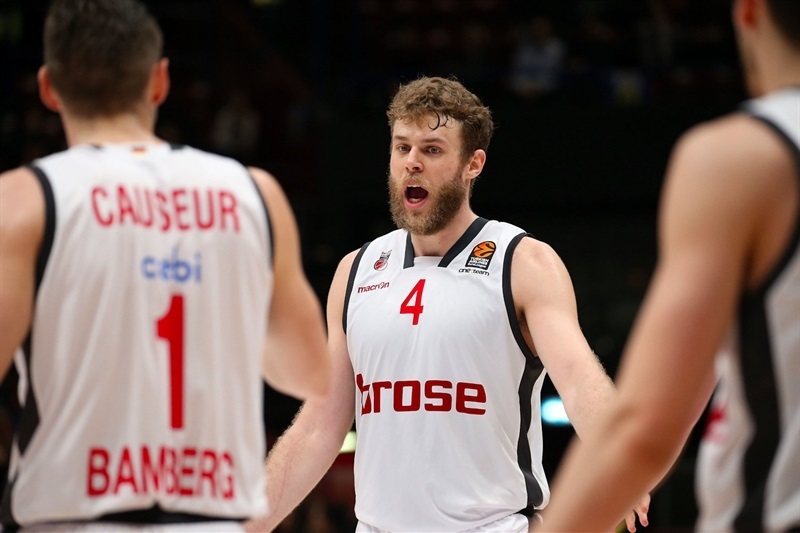 Brose Bamberg withstood a spirited comeback from EA7 Emporio Armani Milan as Coach Andrea Trinchieri and power forward Nicolo Melli made a winning return to the Italian city by securing a 76-84 triumph. 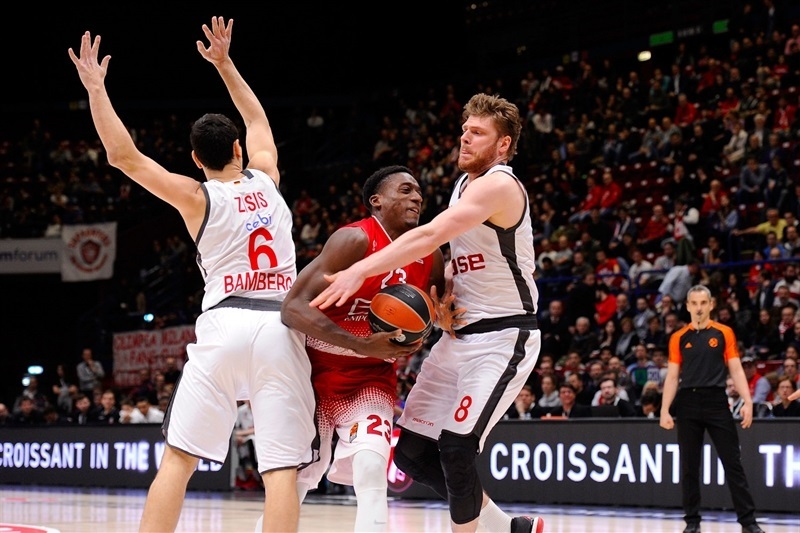 At first it looked easy, with Bamberg going 20 ahead in the second quarter. 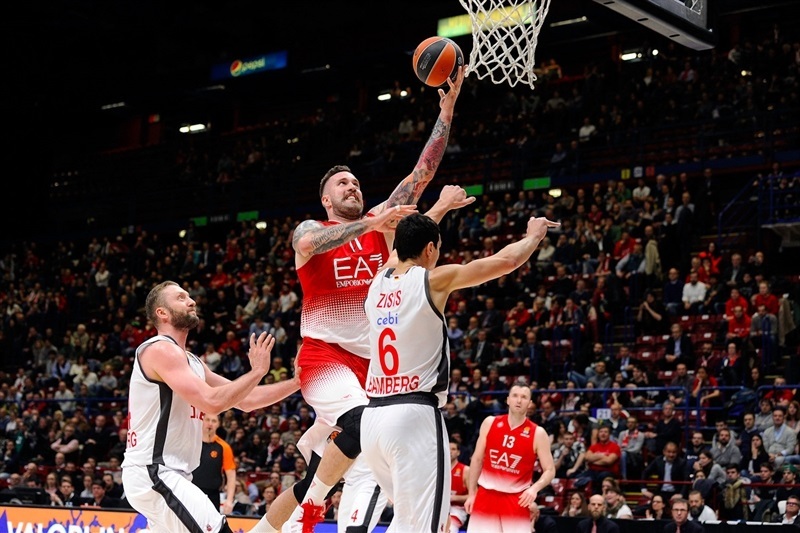 But Milan gradually whittled the deficit down to just 5 points, until a final flurry from the visitors sealed the outcome. 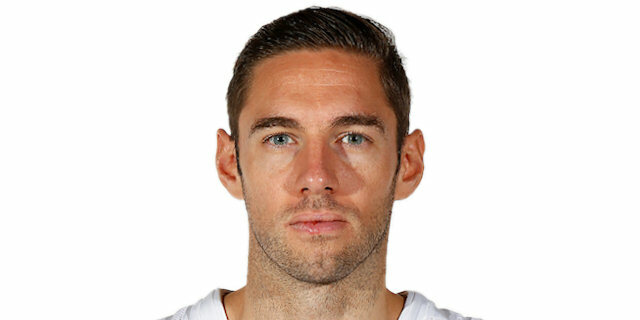 Fabien Causeur was Bamberg’s outstanding performer; he scored 17 points with a key late triple to secure the victory. 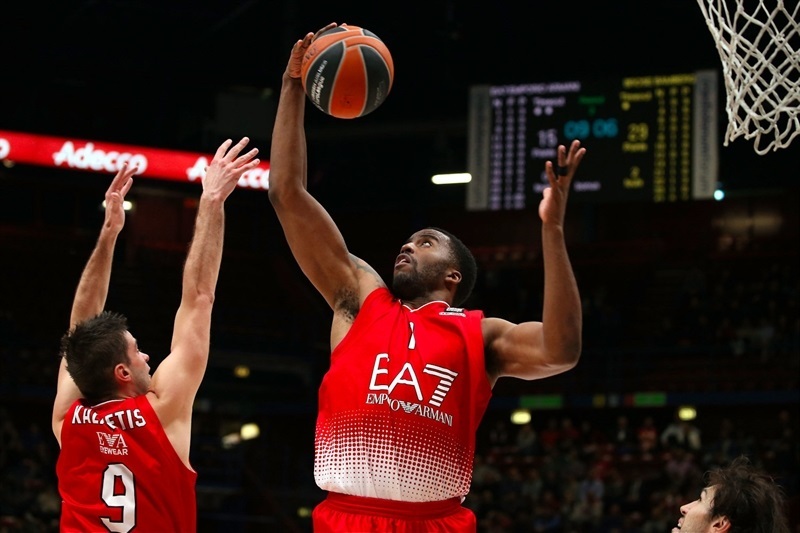 Jerel McNeal added 12 points, and Melli combined 9 points with 8 rebounds. 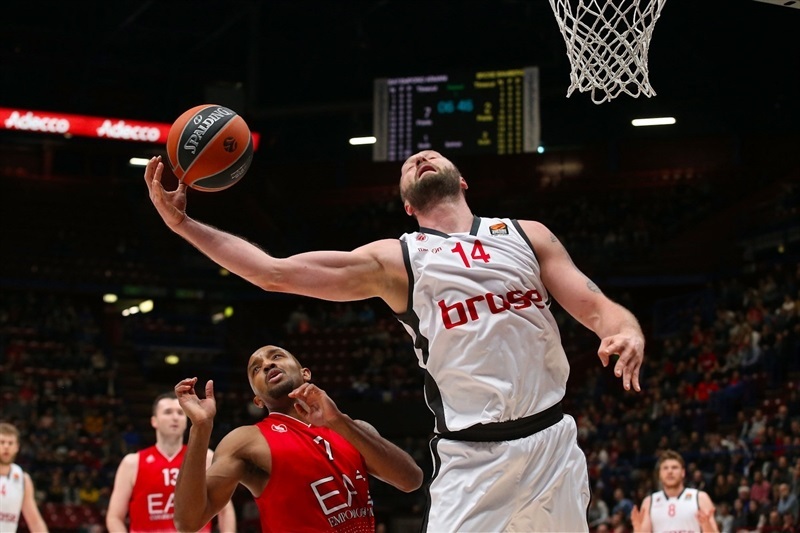 Miroslav Raduljica was a powerhouse for Milan with 19 points and 9 rebounds, while Ricky Hickman netted 20 points on 5-of-10 three-point shooting. 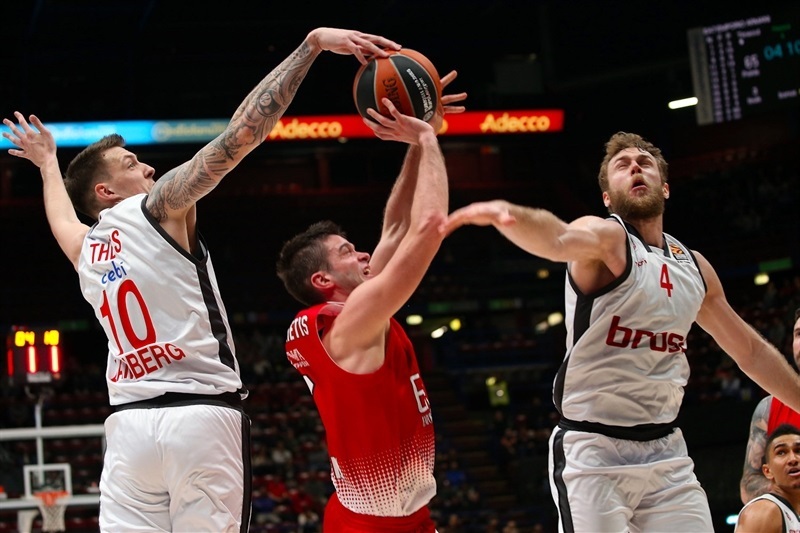 But Bamberg’s team display of long-range shooting, with seven different players hitting triples as the team went 10 of 21, eventually made the difference. 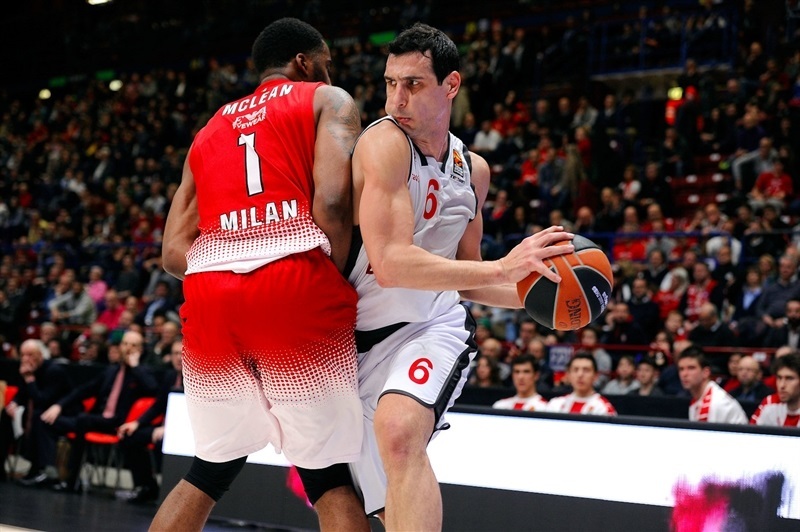 Milan jumped out to a 4-0 start, but Causeur quickly got into his stride with 9 points in just over five minutes. 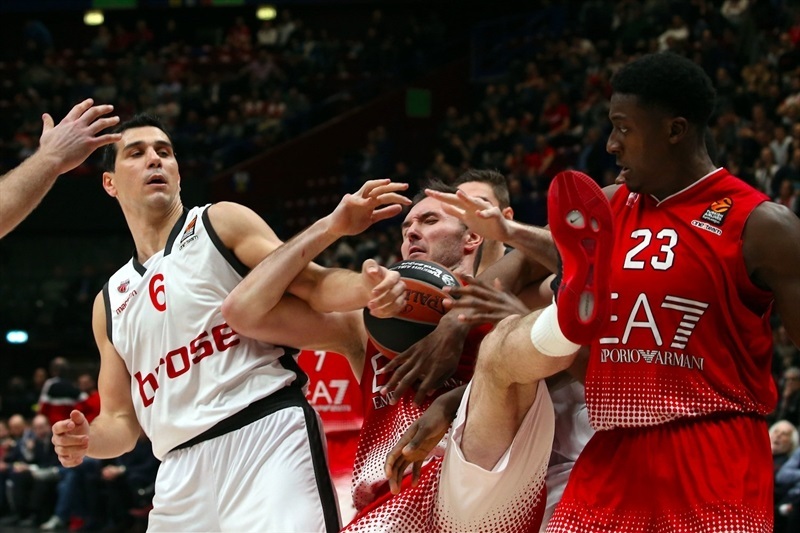 Then other Bamberg players got involved, with Melli, Lucca Staiger and Maodo Lo all hitting triples in a 2-24 charge. 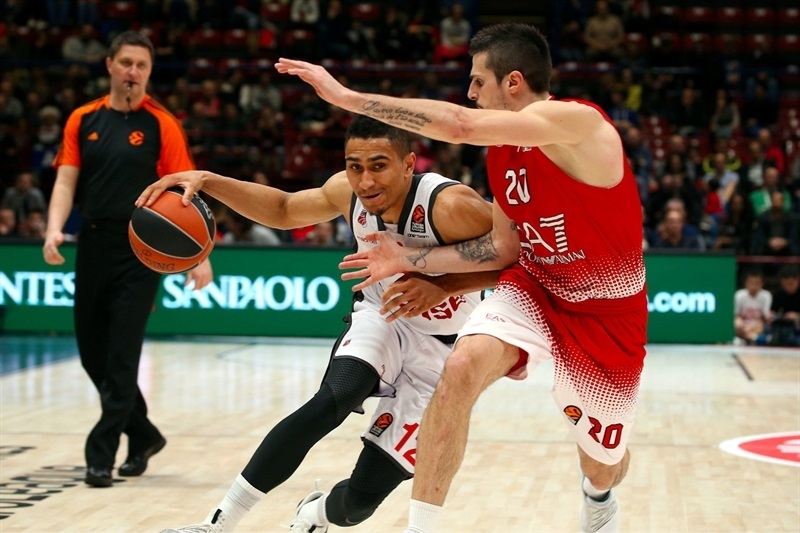 A Mantas Kalnietis three-pointer finally got Milan back on the board, but McNeal answered with another long-range strike as the first quarter finished 14-29. The two teams traded baskets early in the second quarter, with the highlight coming from a big dunk by Darius Miller. Bamberg went 20 ahead with another three, this time from Staiger, but 5 quick points from Hickman reduced the deficit to 36-50 at halftime. 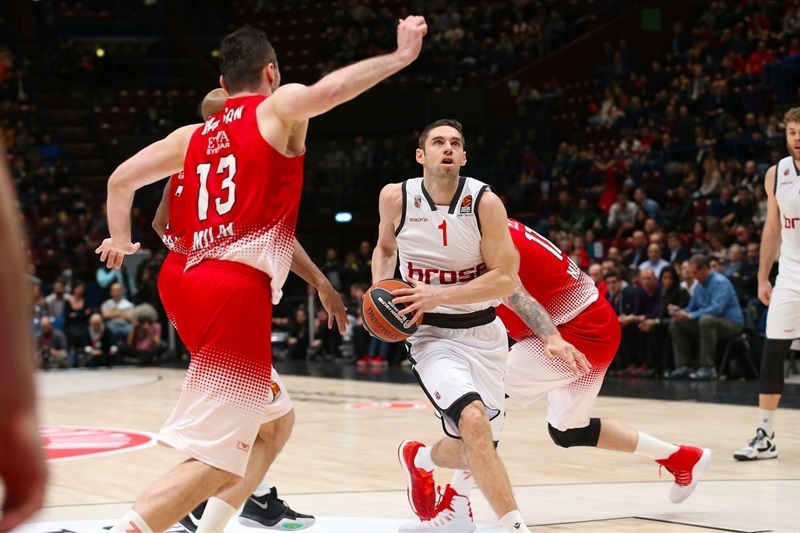 The visitors edged further ahead in a low-scoring start to the second half, before Davide Pascolo pulled Milan closer with 5 consecutive points. 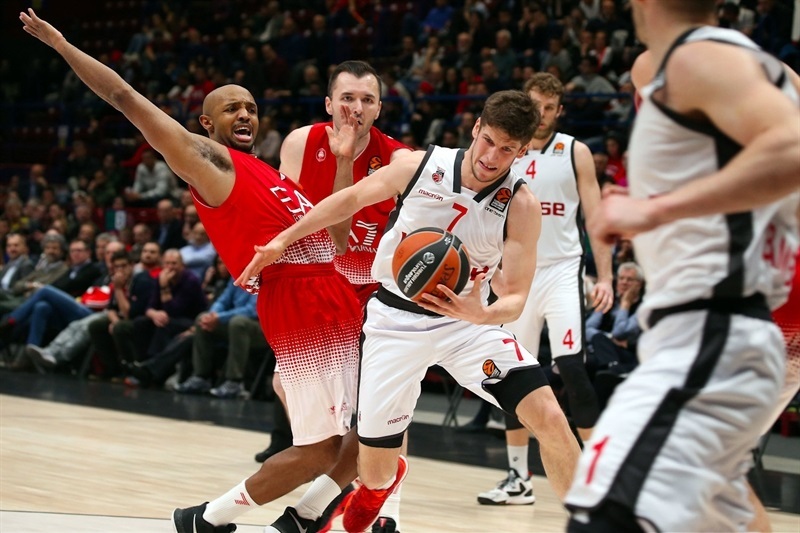 The fourth quarter started with Bamberg leading by 12, but a triple from Kalnietis soon made it a single-digit lead. 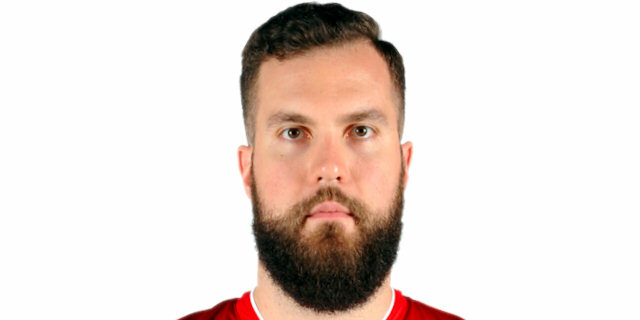 Raduljica proved a real handful inside with 10 fourth-quarter points, and with the help of another triple from Hickman it was 72-77 with two minutes remaining. 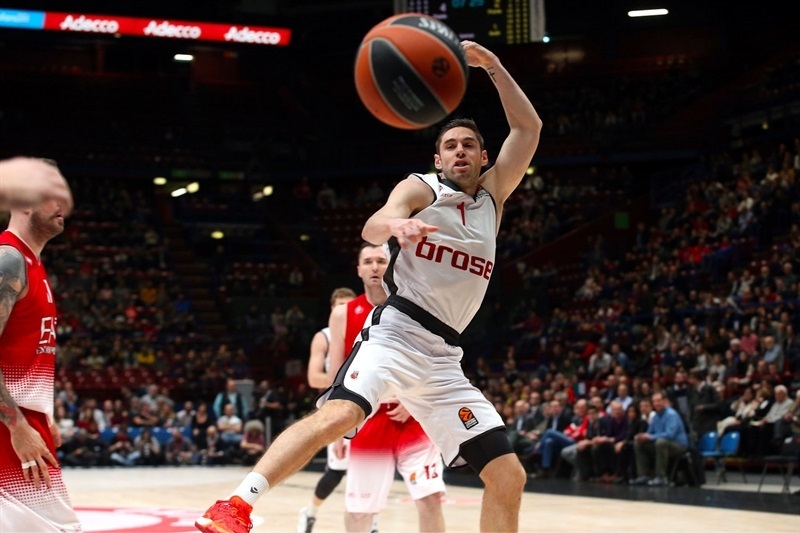 But a triple from Causeur was just what Bamberg needed, and a couple of scoreless possessions from Milan killed any hopes of a comeback. 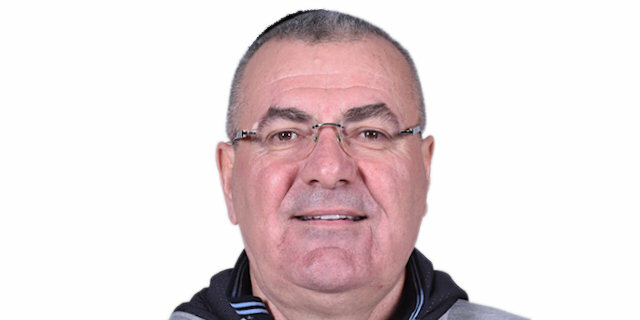 "We lost like we lost the Red Star game. We won the last three quarters, but we went down too badly in the first and that was the end. At this level you cannot go down and turn things around easily. We committed 3 fouls in the first quarter, we grabbed 3 offensive rebounds in the first half and 11 in the second. I'm asking why. This is what I asked to Raduljca and all the other guys. We had a short rotation, I can look for excuses, but that's not what I want to do. There's a mentality we need to change that I don't like." "I have an extremely serious and professional group of guys who always try to play. After a terrible Tuesday, we came here and played an extremely solid game, and deserved to win. 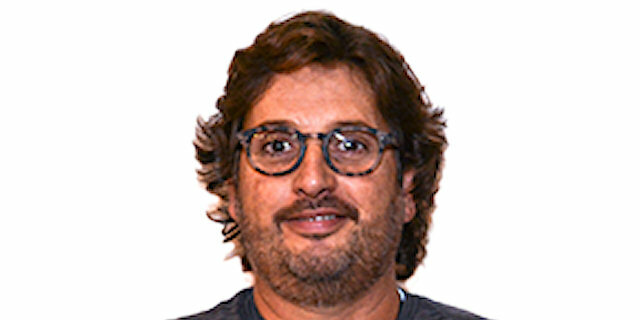 We made mistakes and Milano came back because we got a bit loose, but that’s human and when you have a team like this you can only say ‘thank you.’ On paper we had no motivation, but my players found their own motivation. We came here on the road, controlled the game and won." "We should have played better in the first half. The second was much better and we showed we can play with energy even with no pressure. I played better, but cannot be satisfied because we lost." "The team made a big effort at the beginning of the game. We had a 20-point lead, but they were playing at home and showed pride to try to come back, but we made important shots at the end. We lost a bit of rhythm in the second half, they made some stops and got the momentum, but we found the right tempo at the end."